If you are fond of reading books then you must aware that reading trend has gone through with major transformation from hard copy to soft copy (e-books) then kindle an advance way of reading the books over the Device. From past couple of years, the trend is changing at a very fast pace and audiobooks are now gaining popularity. Because It gives you the same vibe as someone is telling you the story. The best thing I found with audiobooks is that it gives you the sense of feeling where you can imagine the story as real. And it makes you feel like that it just happening in front of your eyes. If you also prefer Audiobooks over e-book or paper copy. 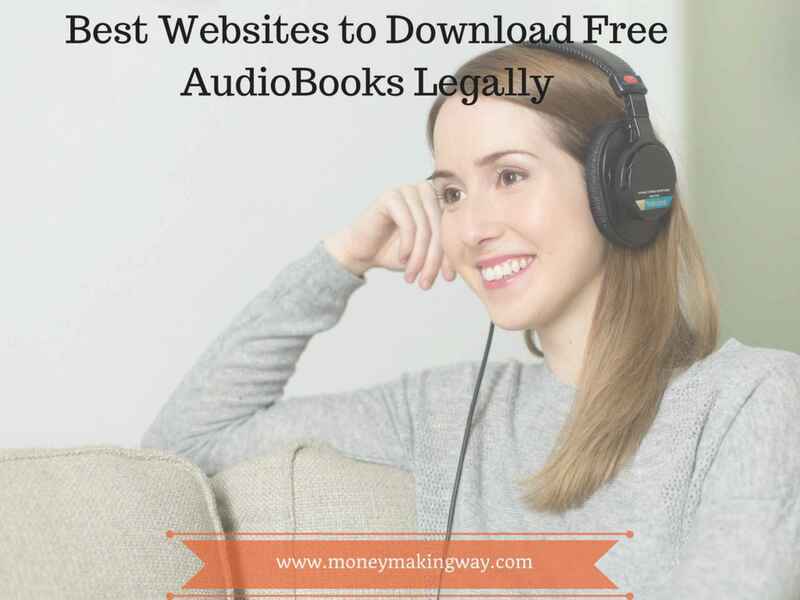 Then check out our entire list of websites where you can download free audiobooks legally. However, there are tons of websites available which are providing free audio books. But most of them are running illegally or their countries are restricted. This list is completely safe to download Audiobooks in MP3 and Itunes podcast. Following are the Websites to download Free Audiobooks Legally. Loyal Books have a huge collection over 7,000 free audiobooks on their website. You can easily sort out through the genre which is listed left side of the homepage. Here you can download audio books as Itunes podcast, Ipad M4B, MP3 and listen directly from your RSS feed. Along with this, you can also see the synopsis of the book, published date, and author name. The site is completely safe and smooth to navigate and even easier to search and Audiobook. Here you can download audio books as Itunes podcast, Ipad M4B, MP3 and listen directly from your RSS feed. Along with this, you can also see the synopsis of the book, published date, and author name. The site is completely safe and smooth to navigate and even easier to search and Audiobook. Scribl was formerly known as Podiobooks. This website provides the platform both ways whether you want to publish or listen. You can receive the file as a podcast, download directly from the website or listen from your RSS feed. They have a vast array of collection and almost all genres. Scribl provides both free and paid Audiobooks and they also have crowd pricing system through which you get the best price. Their software automatically sets books prices based on download popularity within a specific genre. It was established in the year 2004 with the objective to provide an extensive library of books in digital format. It works same as scribl author can also publish their Audiobooks. Browsing an e-book is a very easy task all you have to do is click on the genre and select your book for download. They provide some important details to review the book before initiating the download. E.g Flesch reading ease, Number of downloads, wordcount and published year. Other basic information is also there like author name, Genre, and title. You can choose the type of file and format under which you want to execute the download. They have more than 15 supported format. It is a free summer audiobook program for teens which offers two audiobooks per week. They are doing this to let teens know that reading can be done through listening. Sync is sponsored by Audiofile Magazine. Sign up to get notification related to free audiobooks through email, text messages and by visiting their website. OverDrive is like finding all solutions of your digital books under one roof. Here you can sell & publish ebooks, connect with libraries & schools and can find all types of educational ebooks. If your local library is connected with OverDrive this can be the best source for you get free audiobooks. Internet Archive is a 501 non-profit library. which was established in the year 1996 with the objective to share universal knowledge in digital form. They have 279 billion of web pages, 11 millions of books and texts, 4 Million of audio recording, 3 million of videos, 1 million of images and 100k software programs. So they have massive data on their website and the free audiobook is one of them. You can also sort the book through the number of views which gives you the glimpse of some popular books to download. Another good website for free Audio Books to download. They have around 900 of audiobooks including fiction, non-fiction, and poetry. Apart from audio books you will find a good collection of movies, online courses, ebooks, business courses, and textbooks. The website has some self-hosted files whereas some will redirect you to others. Some files you can’t download can only stream online. One of the best place to download the audiobook. you can search the book through genre, authors, collections, and readability. Some of the popular category you will find their genre is Gothic, Memoir, mystery, and realism. Before downloading you can review the details like book synopsis, published date, and Flesch reading score. Librivox works on volunteer bases where anyone can record their chapters. Which will be published by Librivox for free on the internet. They donate its recording to the public domain. You can search the audiobooks through genre, author, reader, and subject. The file can be downloaded directly or you can subscribe their podcast. This place is perfect for kids not only fairy tales and educational but you will also find a great collection of Seasonal stories. Like Christmas stories, Halloween, Thanksgiving, St. George’s day, St. Patrick’s day and St Valentine’s day. Listening story through audiobooks helps children in developing listening skills, concentration, understanding complex language, accents, and dialects. A complete HUB of free audiobooks with almost all genres. Most of the audiobooks will find are also free with Amazon and listed on Librophile. The website has more than 1,00,000 free audiobooks listed with best authors. The site also provides you a great collection of books and a special section as Trending where you can check the most popular books both in audio and ebook. If you love reading classical books then this website would be really helpful for you. because it has a great collection of classical audiobooks including some of the best like Emma from Jane Austen, Huckleberry Finn by Mark Twain and Alice in Wonderland by Lewis Caroll. You will also find some other good audiobooks like Italian language course, Autobiography of Benjamin Franklin, and my story by Hellen Keller. Michael Hart is the founder of Gutenberg project and he invented ebooks in 1971. You can browse through author, title, language, and recently posted. There is also an RSS Feed you need a feed reader software to read this. And if you are not sure where to start from you can check their popular section of Top 100 Books this will definitely help you to find you some best audiobooks. The website is completely dedicated towards kids. Which enhances their listening skills. Not only audiobooks but you will also find some brainstorming games for children. They have many challenging appropriate games which stimulate their imagination and thought process. The collection of audiobooks includes both human and system generated voices. Really great for those children who are not good at problem-solving. Thought Audio offers free wide range audio books in literature and philosophy. You can search the books through the whole list, title, new posting and directly from the search bar. Learn out loud has a huge collection of audiobooks around 1200 free course collection, 3000 free audiobook section, 2000 free documentaries collection. They also have a great collection of interviews, talks, and speeches. For some readers audiobooks is a significant change in reading era however some still perfers the old way of reading infact they don’t even prefer ebooks over paper copy. But Audiobooks have their own benefits like it feels more real, you can read books while doing other works, improve listening skills and helps you to understand story more better and faster. And this list will help you to reach all kinds of free audiobooks with just click of mouse.